In 2017, we plan to attend the ASPC/AMHR shows in the Northwest and the ASPC/AMHR Area VIII Regional Show. We are also planning to attend the ASPC/ASPR Shetland Congress and possibly the AMHR Nationals. 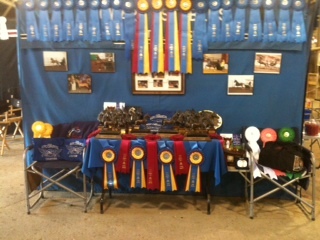 We also plan to attend the AMHA shows in the Northwest, the Western Championship Show and World Show. Welcome to Howard Stables . . .
Howard Stables is located in the beautiful Willamette Valley of Western Oregon, west of Portland, in Beaverton. Our stable has been in the business of training, showing and breeding ponies (Shetland, Hackney) and Miniature Horses for over 30 years. Howard Stables is a unique facility offering a variety of Open, Amateur and Youth programs. Versatility best describes Howard Stables. Our goal is to maximize each pony/horse’s potential and assist the owners in achieving their own personal goals. Howard Stables is owned by Kathy Howard and Marvin & Kash Stucki. Kathy, a nationally renowned trainer whose ponies/horses have won numerous National titles and Top Tens in both halter and performance. Howard Stables is dedicated to both their horses and their clients. We offer a complete amateur and youth program and encourage owner participation. Howard Stables also provides a full service, aggressive marketing package. We take great pride in providing owners with new opportunities to sell their horses and even greater pride in matching a new horse with an excited new owner. Howard Stables specializes in breeding, training, showing and marketing quality horses, doing business honestly and having old-fashioned fun with our horses, our clients and our friends.